This sponsored article was written and/or published on behalf of our partner, Killington Resort. Killington, VT started as a distant blip on the mountain bike destination radar, but in 2018 its sonar ping is impossible to ignore. 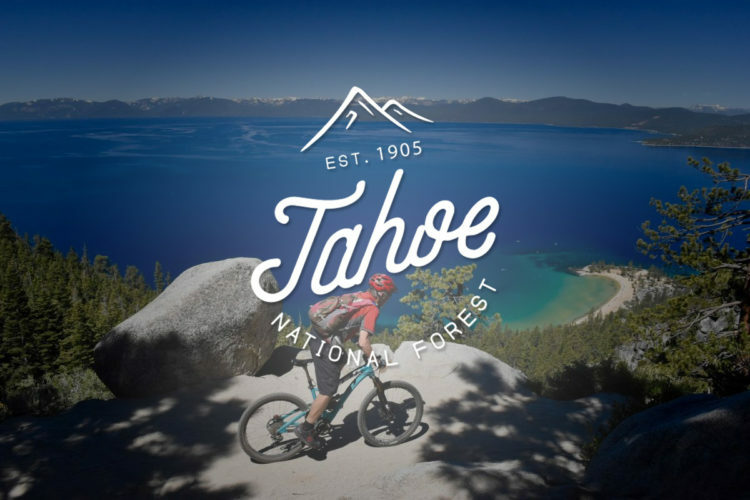 What was once a faint green pixel on the map grows brighter and brighter as big-name events like the Fox US Open of Mountain Biking showcase what the world-class bike park has to offer. For those who are planning or considering a mountain bike trip to Killington, here’s a guide to getting the most out of the visit. 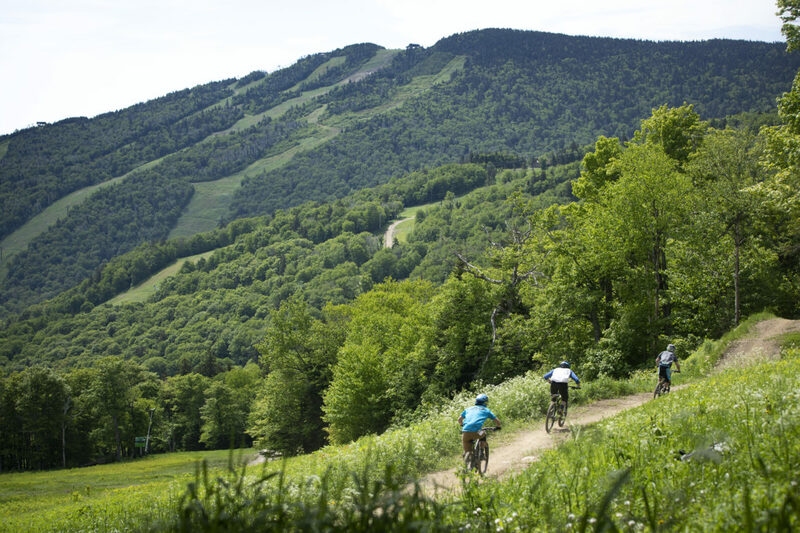 At first glance a mountain bike destination like Killington might seem a little one-dimensional. 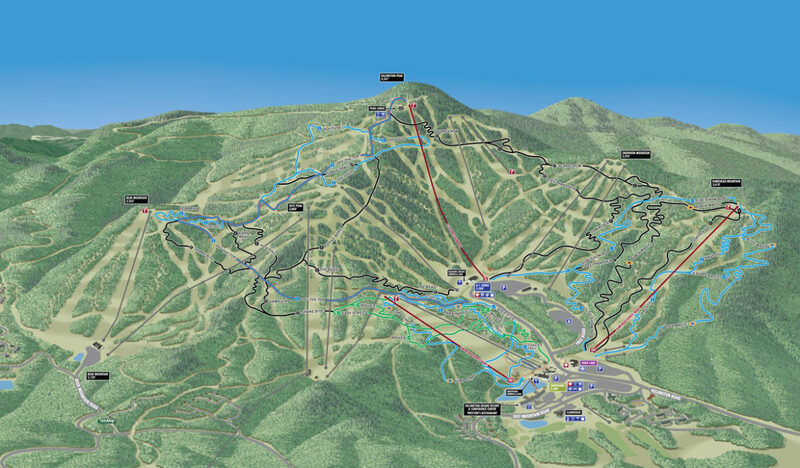 After all, not everyone rides park, and the Killington scene is heavily based around the trails at the resort. 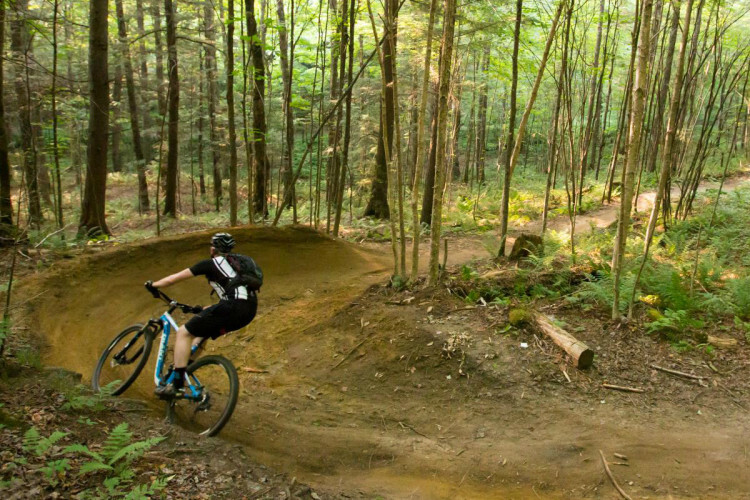 But Killington offers more trails than the average resort — 29 named trails, stretching across 30 miles of singletrack. That’s about three quarters the size of Whistler! Three summer lifts shuttle riders to various starting points on the mountain, topping out at 3,050 vertical feet above the base. 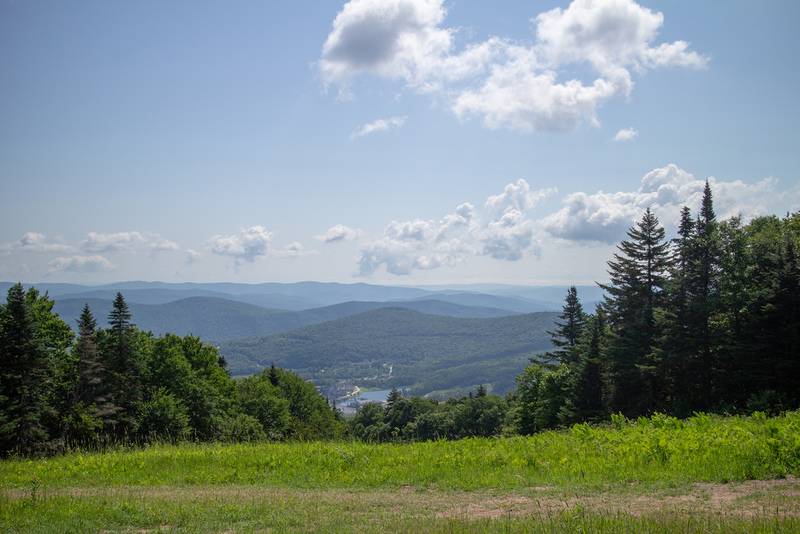 For those who like to earn their turns, a climbing trail also leads to the top of Killington Peak. 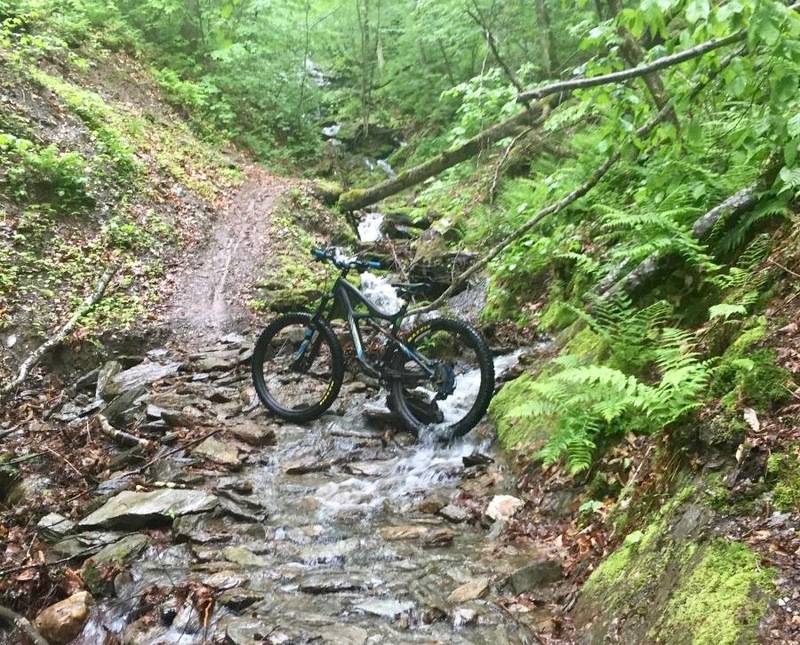 While some mountain bike destinations fall flat when it comes to offering a variety of trail types, Killington serves up a good mix. New England isn’t known for its flow trails, so riders seeking a respite from rocks and roots will enjoy trails like Step It Up and Sideshow Bob. Of course Killington also dishes up plenty of New-England-style gnar on trails like Scarecrow and Goat Skull. 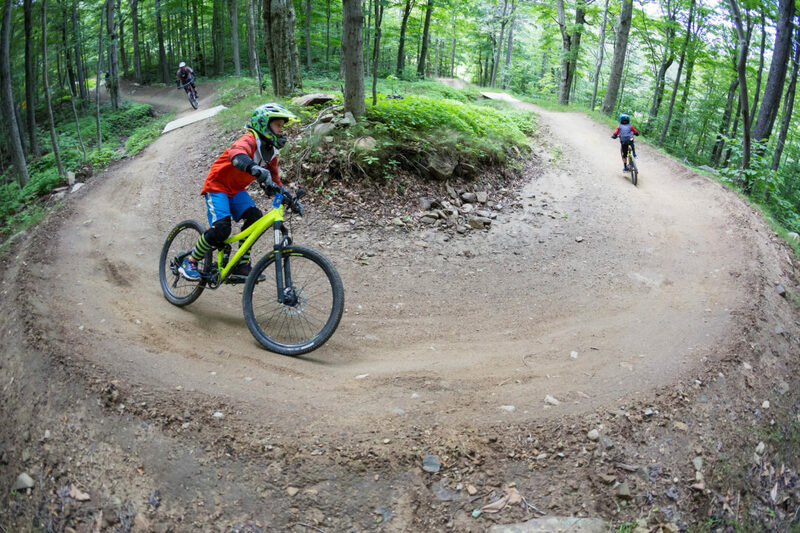 For those who want to test their mettle against some of the most challenging mountain bike trails in the east, Killington is a plug-and-play option for experiencing this unique type of riding. There’s no need to scout around for regional trail beta; everything is signed, mapped, and ready to rip. Just as there are different types of trails, there are also different types of riders. Killington isn’t just for the full-face helmet crowd. Trails range from beginner-friendly tracks like Easy Street and Roller all the way up to double black diamond trails with names like The Beast and Funny Bone. No matter your skill level or trail preferences, a day at the bike park will not disappoint. Use the first few runs to get a feel for the trails. Session your favorites and see just how fast you can open things up. Then, move on to slightly more difficult trails and repeat. This is what mountain bikers mean by “progression,” and Killington is one of the best places to truly put this philosophy into practice. 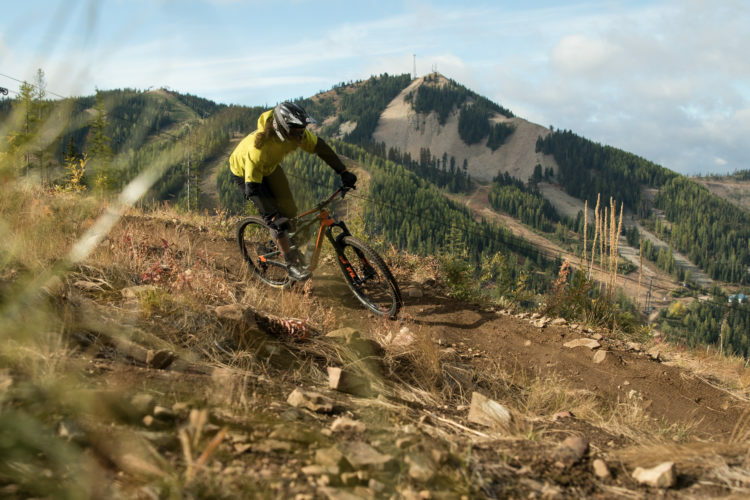 Not everyone has access to expert mountain bike instructors at home, so traveling to a destination like Killington presents a great opportunity to learn from a pro. 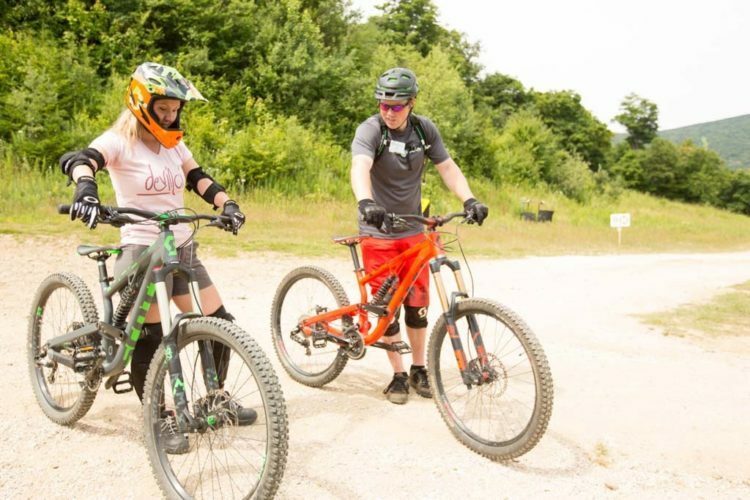 Even experienced mountain bikers can benefit from the “Learn to Mountain Bike” class where instructors guide small groups through basic skills and offer tips for un-learning bad habits. 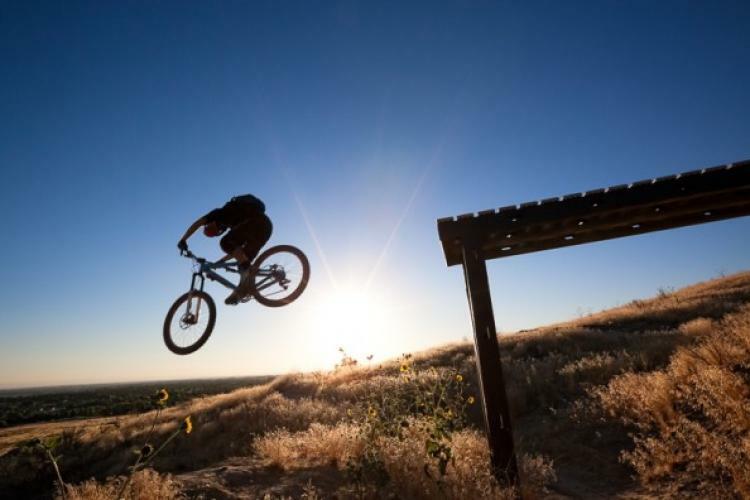 Riders who are not new to mountain biking but are new to riding lift-served trails should seriously consider taking a class to get the most out of the park. If you can swing the time off work, a 3-day lift pass really offers the best value. For $125 riders get access to all three lifts, including the K-1 Gondola. In July and August, the lifts run 7 days a week from 10am-5pm (extended hours on weekends) which gives riders plenty of time to get in a whole pile of runs. Mountain bikers can easily spend days riding at the Killington Bike Park, but there’s still more to experience! If riding a lift leaves you feeling a little guilty, reserve a day or two to ride some of the excellent human-powered trails near town. Green Mountain. 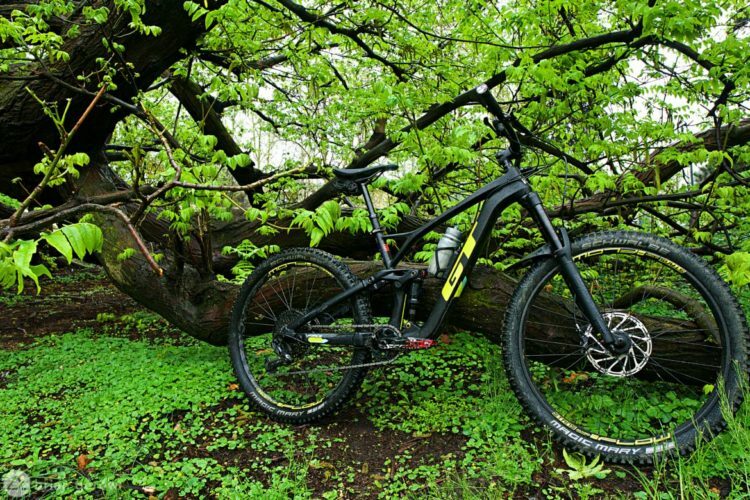 Photo: Singletracks user. The Green Mountain trail system, located about 20 minutes from Killington, offers 20 miles of trails and is almost a destination unto itself. Singletracks readers call it a model East Coast trail system and report the “thousand foot climb to the top is not only forgiving, but actually fun.” There are many trails to choose from here, but the most popular route involves climbing up Noodles, Escalator, and Luvin’ It trails. 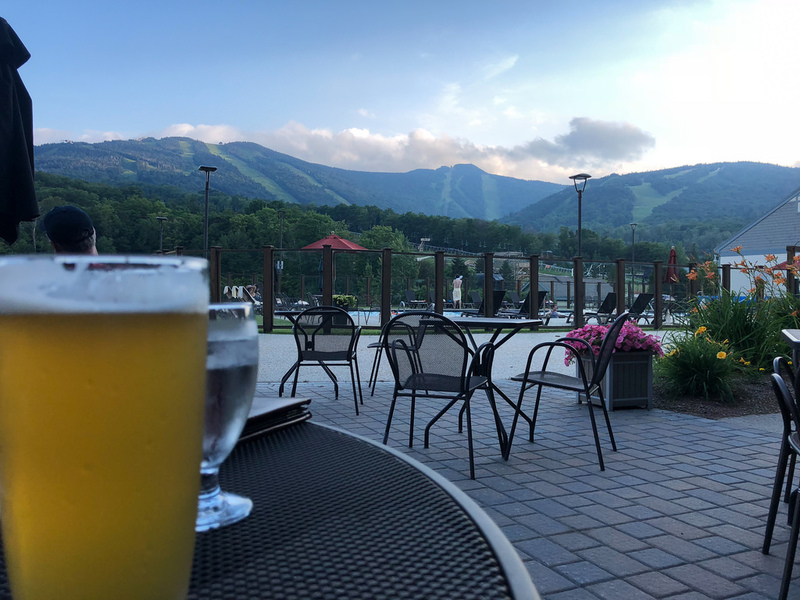 The Sherburne trails are a relatively new addition to the Killington area, and are located close to some of the best beer spots (more on those later.) Six miles of flowy, machine-cut trails offer beginners a chance to get their footing while more advanced riders can use the trail to shake off the arm pump from days of riding at the bike park. Most riders will choose to bring their own bike to Killington, but rentals are available on site. Renting can be a good opportunity to test a new or different bike without making a big commitment. The mountain bike shop also rents full face helmets, pads, and even shoes if you’re trying to minimize your luggage footprint. Downhill bikes are by no means required to ride the trails at the resort, so run what you brung! For those in need of repairs or spare parts during the trip, there are a few options to choose from. 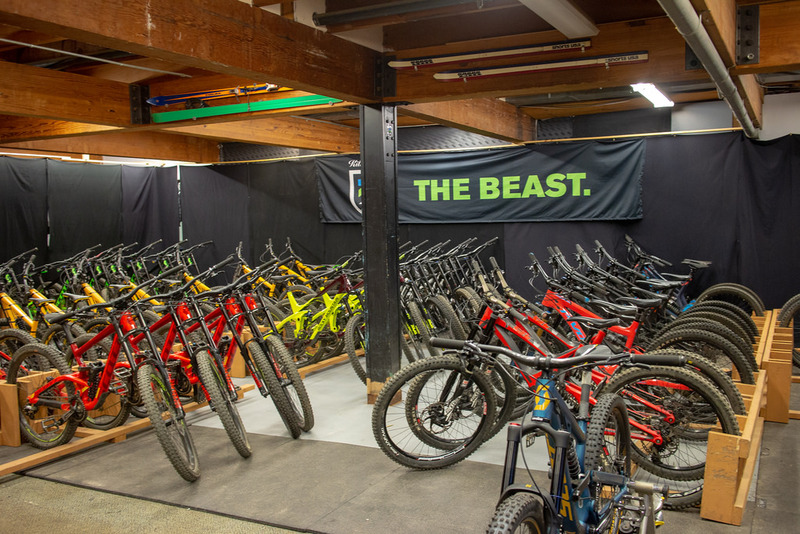 Alpine Bike Works is popular among tourists and locals alike, and should be able to help keep riders rolling. True Wheels bike shop is located even closer to the resort, and offers repairs and a selection of mountain bike parts and equipment. The Killington resort shop also offers basic service to keep you on the mountain, and stocks a selection of clothing and accessories. This might sound weird, but for some of us, the idea of empty lift lines sounds a little lonely. 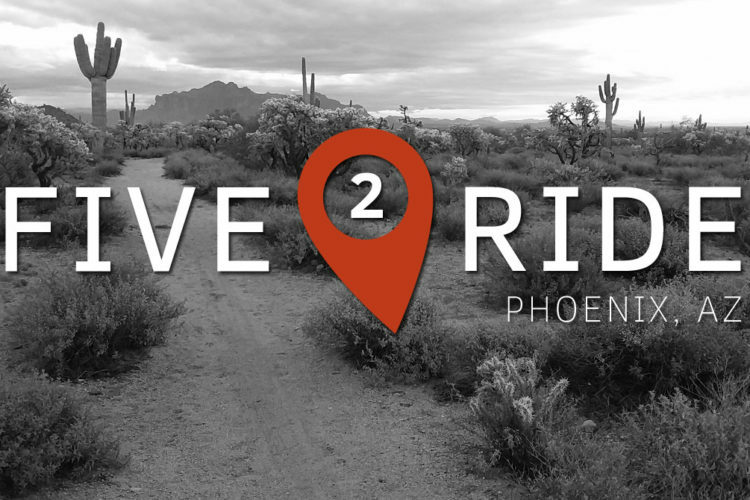 If you’re the type of mountain biker who likes to ride with others and make new friends, be sure to plan your trip around an event at the mountain. The Killington Mountain Bike club hosts a weekly race series at the resort on Wednesday afternoons in summer called the Bike Bum Race series. The entry fee is $35 and racing is open to all ages. Plus, it’s a great way to connect with local riders and to give back to the folks who make mountain biking rad in Killington. The Divas of Dirt host bi-weekly Friday night group rides at Killington and participation is free. Dates and start times vary depending on the month, so be sure to check the calendar. Discounted lift tickets are available on Divas of Dirt ride nights. 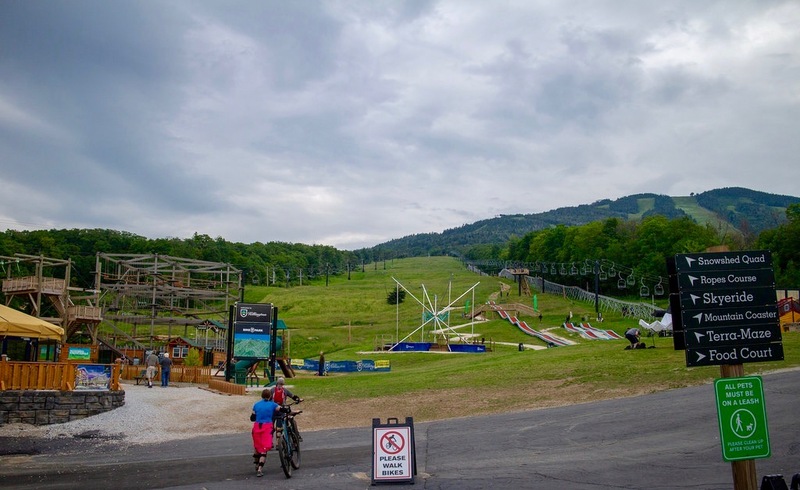 Regional, national, and even international mountain bike events and competitions are held at Killington regularly, and can be one of the best ways to experience the energy of the Killington bike park. This year, Killington hosted Maxxis Eastern States Cup events and the Fox US Open of Mountain Biking. Running events and even free Saturday outdoor concerts are happening all summer too. Vermont is known for its craft beer scene, and despite being a small resort town, there are several hyper-local brews for riders to choose. Killington Beer Company is about as local as you can get, brewing small batches of craft beer right in town. The brewery’s pub is generally open on weekends, but be sure to check for seasonal hours. Grab a six pack of Kwon IPA or Darryl, a blonde ale with organic strawberries, to take back home. Roaring Brook is another brewery located right in Killington, brewing several pale ales as a part of their “Adventure Series.” Look for Roaring Brook beer on tap around town, or in bottles and cans at the market. Another brewery worth checking out is Long Trail Brewing, located about 12 miles from the resort. Long Trail is known for excellent brews like the Vermont IPA, Cranberry Gose, and Long Trail Ale. If you enjoy fresh, hoppy beer, the Long Trail tap list does not disappoint! 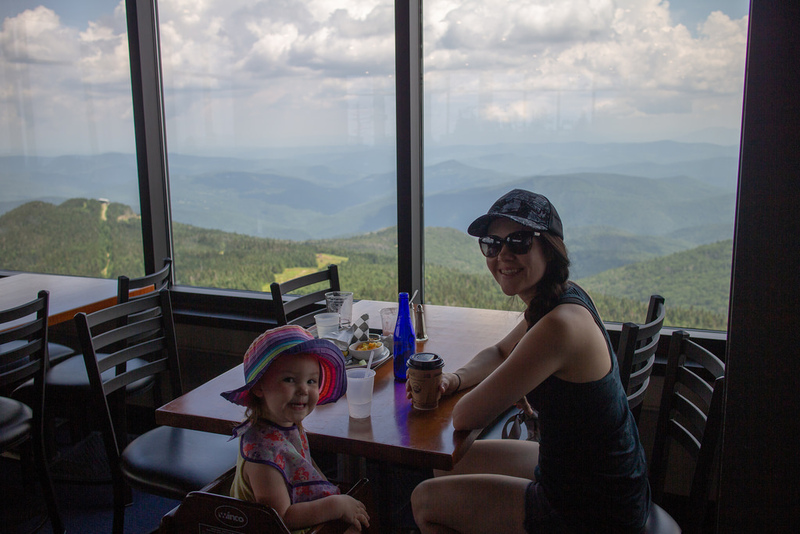 Killington is a surprisingly family-friendly destination, and there’s a lot more to do than just ride bikes and drink beer (not that there’s anything wrong with that.) The resort rents kayaks and paddleboards for use on the pond, and there are miles and miles of hiking trails begging to be explored. 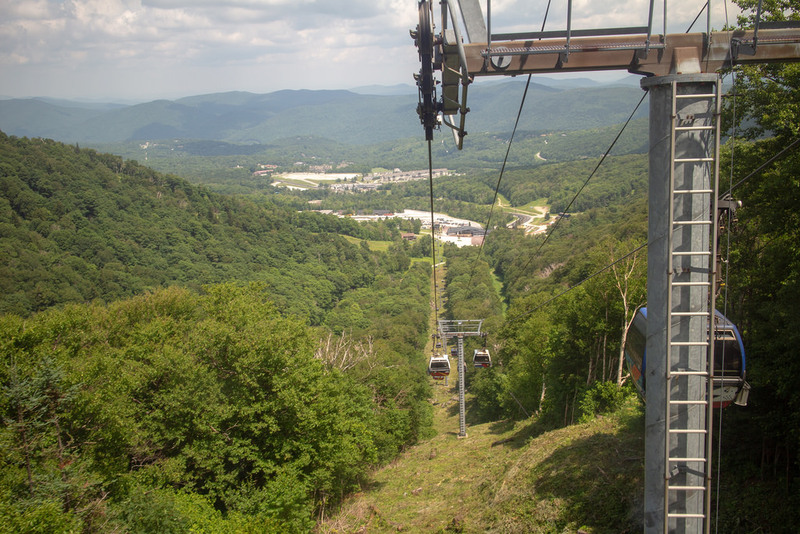 Even those who aren’t riding the bike park will want to ride the K-1 gondola to the top of the mountain to soak in the views. There’s a restaurant and bar at the top of the lift, along with access to more hiking trails. The Snowshed Adventure Center is located at the base of the mountain, and offers a ton of activities for kids and adults, including a ninja obstacle course, the Beast Mountain Coaster, a zip line, a maze, alpine tubing, and a giant trampoline. A golf course and spa services are available at the resort as well. Kids age 4-14 can take part in various camps held at the resort during the summer for just a single day or the whole week. Activities include crafts, games, swimming, and even mountain biking for the older kids. Juniors’ lift tickets and bike rentals are offered at a discounted rate compared to adult prices. Guests at the Killington Grand Resort Hotel can enjoy the massive heated, outdoor pool and 2 hot tubs, in addition to a community fire pit. A childcare center is even available 7 days a week at the resort for a reasonable fee. Mountain bikers will find plenty of dining options at Killington, from high-end restaurants to snack bars and a no-frills food court. Preston’s, located in the Grand Resort Hotel, serves large portions made from local ingredients. The Snowshed Umbrella Bar is a popular spot conveniently located at the bottom of the trails, and is a great place to grab a hot dog or a beer in between runs. A food court in the main lodge ensures everyone can find something they like to eat without burning too much precious mountain time. For those with a bit more time on their hands, the town of Killington is chock-full of local restaurants to explore. 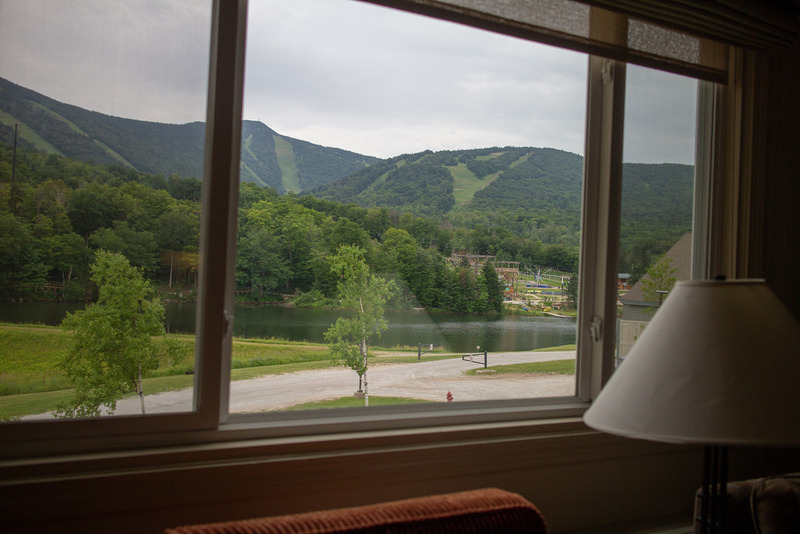 Perhaps the easiest choice for lodging is to stay at the Killington Grand Resort Hotel right at the base of the mountain. Aside from the primo location with lifts and trails out the back door, the Grand offers a bike check area for safely storing expensive gear. The Killington Grand has several room types, from studio units that can fit 2-4 guests, all the way up to 3-bedroom units that sleep 10. Round up a crew! If the Grand is booked, or you want more options, there are bed-and-breakfasts, condos, and other accommodations that can be found online. There’s even camping available outside of town in the forest, though obviously this option will involve more logistics. Killington is located nearly smack-dab in the middle of the state of Vermont. It’s about a 5 hour drive from New York City and less than 3 hours from Boston without traffic. Albany, NY and Burlington, VT are both within two hours of the resort. The resort allows guests to camp overnight at no charge in the Vale parking lots which are trailside to Side Show Bob. If you’re flying in, you’ll find the most options at airports in the cities listed above. There is bus service to Killington from Albany and Burlington, but renting a car won’t add a lot to the cost of the trip but will offer much more flexibility. 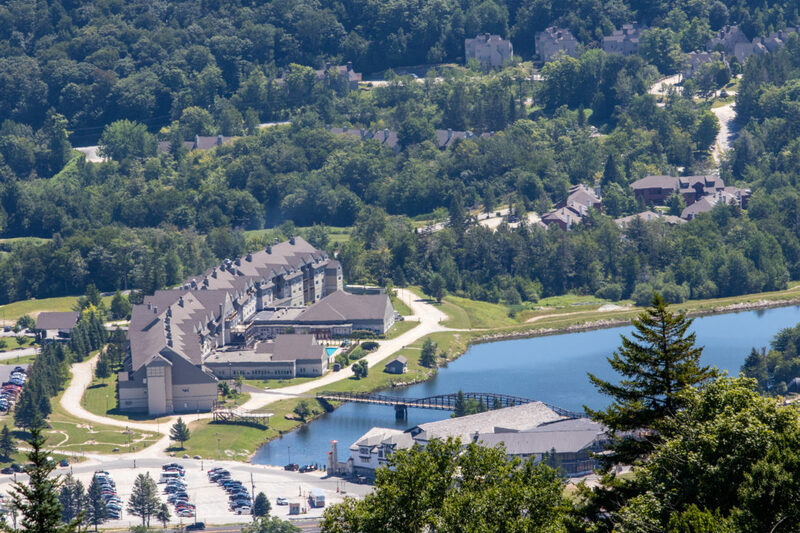 Parking at the base of the mountain is free, and valet parking is available at the Killington Grand Resort Hotel. As far as mountain bike trip planning goes, it doesn’t get much easier than Killington where pretty much everything is available in one spot. 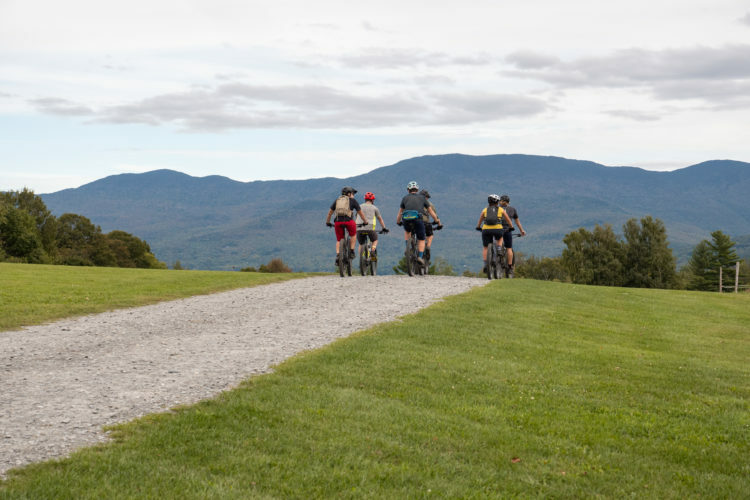 Riders can easily spend 3 days of riding at the resort alone, so plan on a long weekend or use Killington as a base for a weeklong adventure exploring the best trails in the Northeast. I am sympathetic (unlike probably a lot of readers here), but this is the wrong article to comment on. You make no mention of the location of the trail system being reviewed. The article is largely about a bikepark at a ski-resort, with existing lifts/slopes/trails, and therefore the existence of a bikepark likely has a much lower impact than a lot of mountain biking does. I share your skepticism on impact research funded by imba and conducted by mountain bikers, however comment on a article which deals with the topic. Greg Heil has written some good ones. Your comment in this article just looks like trolling. I’d encourage any readers to click on the links, as I personally would suspect a malicious link. My personal opinion is that all of our actions have an impact on the planet. Mountain biking may have more of an impact on than walking, but walking has more than staying home. I think if we are aware of the impact, we can try to mitigate it. And I think it is necessary to get into the woods/mountains, to understand what needs to be preserved. Uh, I was replying to a comment that I no longer see. Ignore my comment? I think you were replying to a facebook comment from Mike V. Just ignore him. He’s a well known mountain bike forum troll who only espouses anti-bike venom. He was actually arrested once for assaulting a biker and for vandalism.